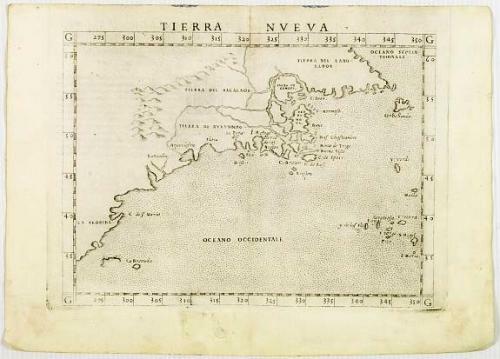 Rare first edition of the map of east coast of North America.. According to Shirley, most likely engraved by the brothers Giulio and Livio Sanuto. Very light marginal water staining, a somewhat weak impression, as usual for this map. Else in very good condition.